Entry filed under: Entree, Raw, Romaine. Q & A with Sara: A Happy Foody Video [8.20.09]	One Week Down! I wrap everything in lettuce. So good. My favorite is hummus, cucumber, dill, tomatoes and carrots….or avacado and hot hot salsa! That sounds so tasty! I’m definately going to have to start adding this to my lunchtime rotation! zucchini hummus? yum! What is in it? 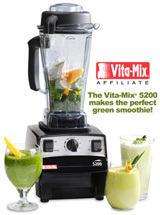 Can you use your vita mix (like reg hummus) or do you have to use a food processor? zucchini hummus — recipe please? Yes! I echo the cries for the zucchini hummus! The framer’s market here is full to the brim with lovely zucchini and I am dying to try your recipie!